Happy holidays, sweet friends! I'm so excited to be participating in the Christmas Festival Blog Hop hosted by my talented friend Kendra from Joy In Our Home! Kendra was one of my very first blogging friends years ago - we used to host a link party together and participated in the Monthly DIY Challenge together. 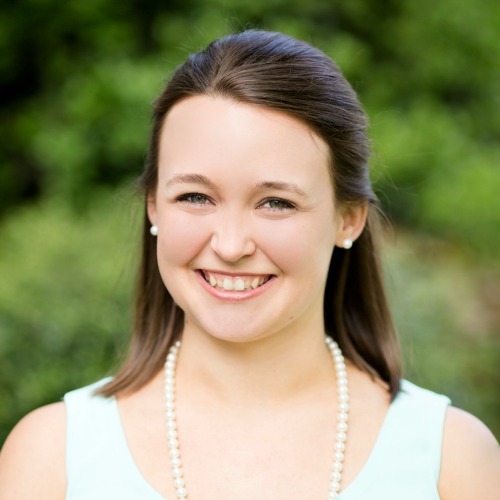 She is the kindest person and has such charming farmhouse decor! I was so excited when she asked me to join in the fun this holiday season! 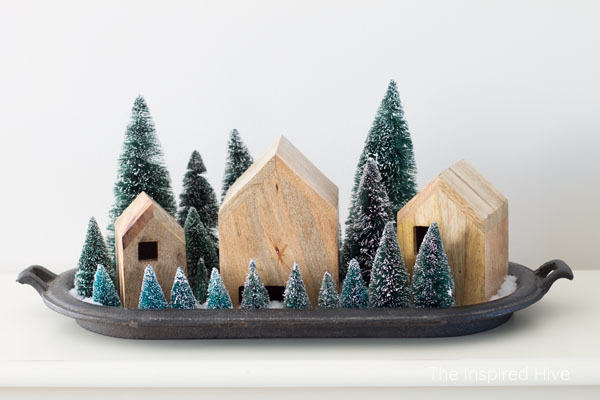 She's rounded up 25 creative bloggers to share their inspiring Christmas ideas! If you've been following along the tour and are stopping by from yesterday's beautiful mantel at Red Brick on the Lake, welcome!! 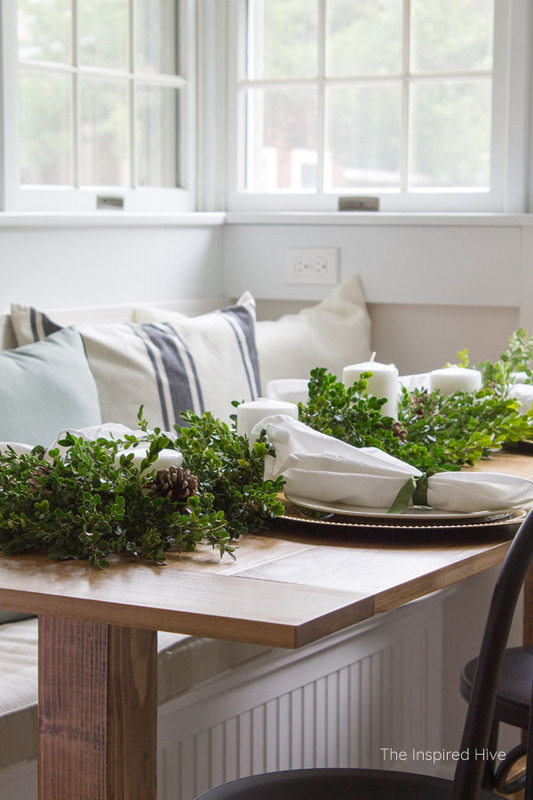 Today, I'm sharing my minimal, natural tablescape in our new breakfast nook! Last winter, I shared a Christmas tablescape in our dining room. 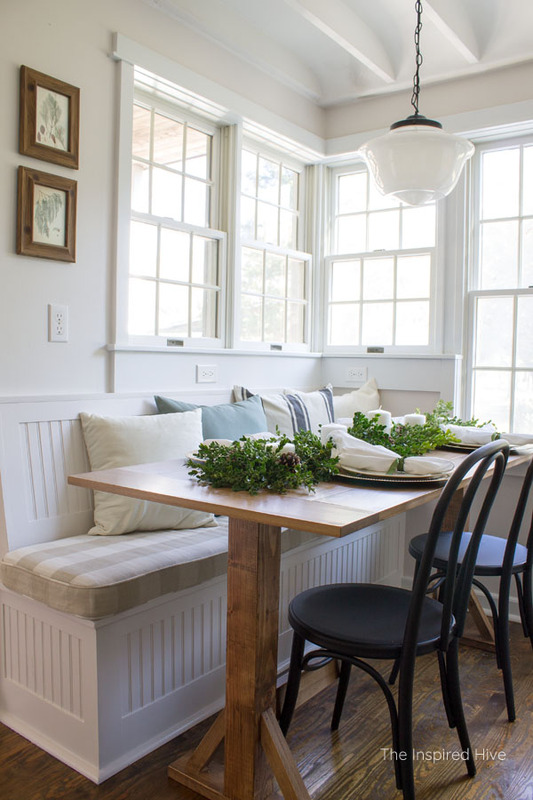 Since we recently finished our big kitchen makeover, I thought it would be fun to do a tablescape in our new breakfast nook. This is where we eat most of our meals, so it's only natural that we decorate it for the holidays and seasons! I have really been craving a simpler holiday season this year. Sometimes all of the Christmas chaos is a little too overwhelming, and we lose sight of the true meaning and beauty of the season. So this year, to tame some of that chaos, I have simplified our holiday decor. 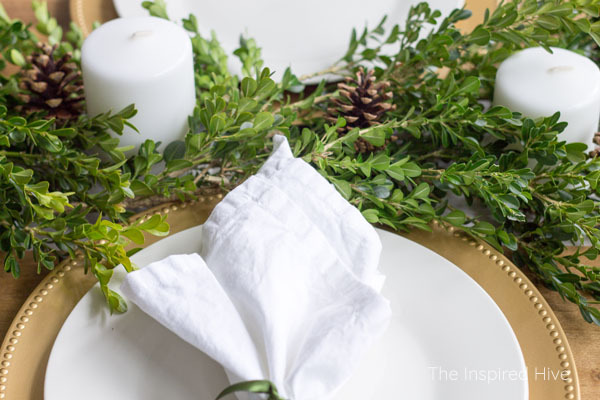 I created this easy tablescape for less than $10 using a few things I already had, greenery from the yard, and some Dollar Tree dishes (I had no idea they sold such great tableware until now!). Our yard is filled with every evergreen you could possibly think of! I chose to use some boxwood cuttings as a runner. Boxwoods will last several weeks out of water and even as they begin to dry, they still look pretty. 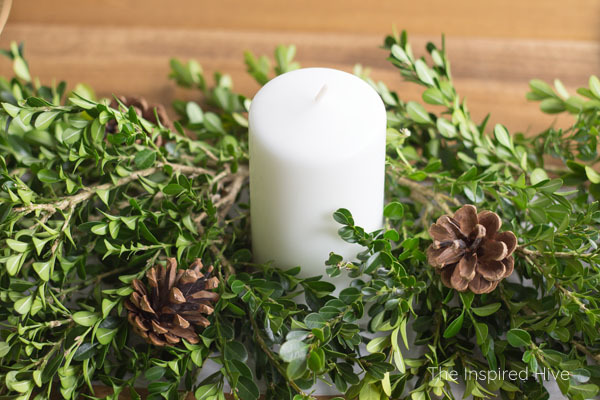 After placing some white pillar candles I had on hand on the table, I cut small sections of boxwood and layered them over each other down the center of the table. I tucked even smaller pieces around each candle. Then I placed a few small pinecones on top of the greenery. If you look closely, you can see that I cut a strip of white parchment paper to run the length of the table. I initially thought I was going to tuck some pine and fir branches into the boxwood, and I was worried about sap sticking to the table we just built, but I ended up liking it better with just the boxwood anyway. 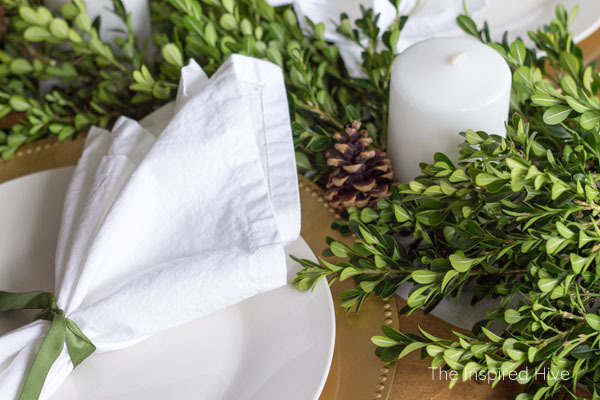 BUT if you plan to use messy greenery, parchment paper is a great way to protect your table! It's not even noticeable unless you get down low near the tabletop. I kept the place settings nice and simple too. I found these beautiful gold chargers at the Dollar Tree! (I bought some very similar ones for my grandmother for Christmas a few years ago and they were a lot more than $1 😳 ) I couldn't believe they had such pretty ones! I also picked up some plain white stoneware plates. I already had the white napkins on hand. I tied a basic knot with some green satin ribbon I found at Michaels. 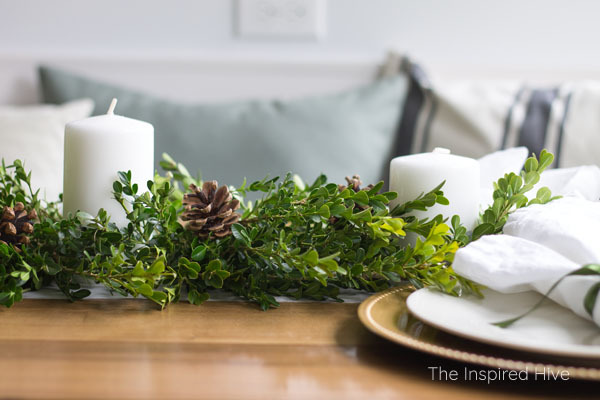 I hope this tablescape gives you some inspiration for how to decorate your table for Christmas without spending a lot of money. 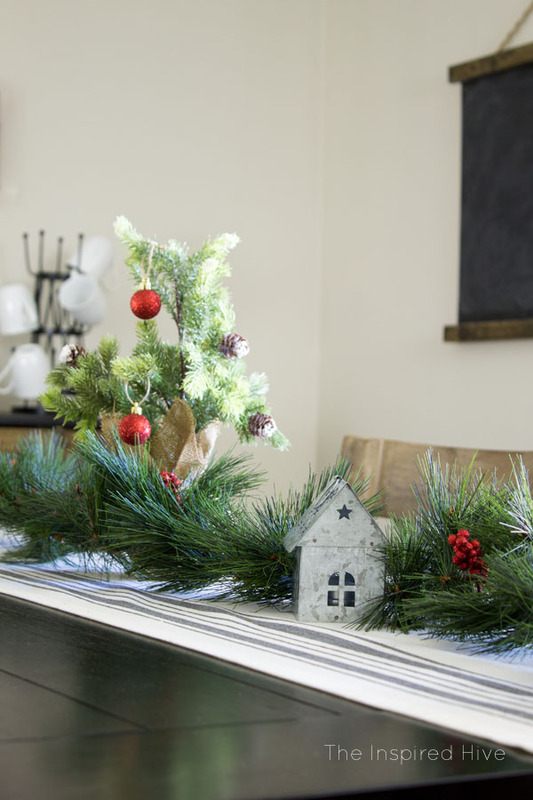 The nice thing about using evergreens is that it can be used throughout winter, beyond Christmas! Next up on the blog hop is Curly Crafty Mom. 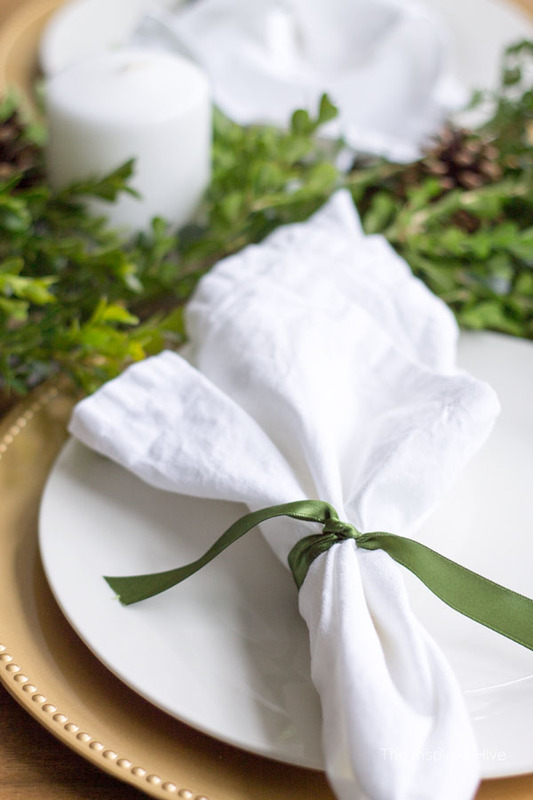 Go check out her beautiful tablescape! I love her place settings! If you're just joining us, you can find everyone else's creative ideas below! I fall more and more in love with this space every time I see it Nicole! It looks so cozy and inviting all decorated for Christmas! And what a brilliant tip about the parchment paper - I never would have thought of that! Happy holidays my friend! Hi Nichole! 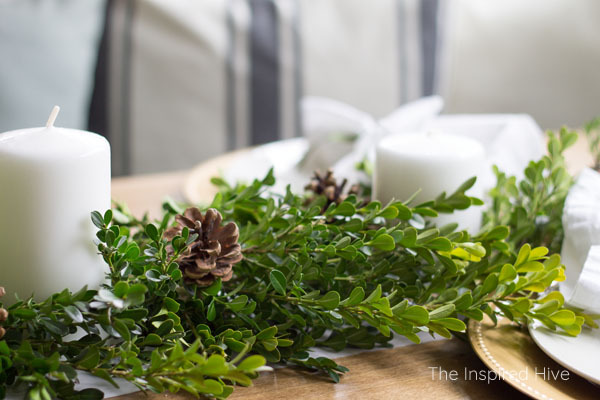 I love your simple and natural winter tablescape. 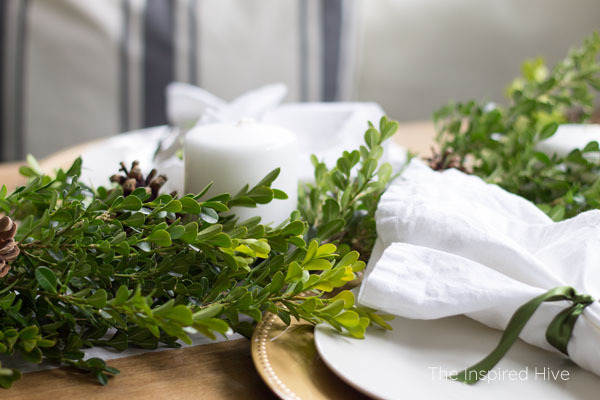 I always say decor doesn't have to be complex to be beautiful, and your tablescape proves that. And simple is the best way to go during the stressful holiday season. 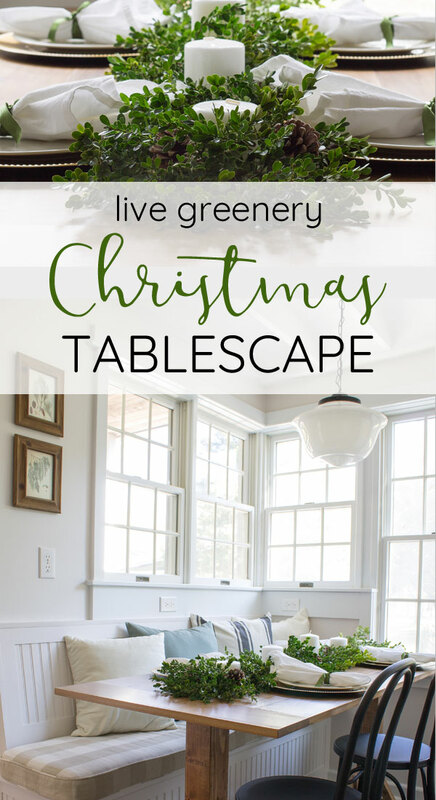 I love all the greenery and the neutral tones are very calming and inviting. So happy to be hopping with you! I love this! I think we forget how beautiful and elegant a simple presentation can be!! Love this!!! So pretty Nicole! I love boxwood and your idea of using the parchment paper is so smart. Your table definitely doesn't look like it was created with things that cost a $1! Thank you Jamie! I love when budget friendly can also be pretty! This is so pretty! 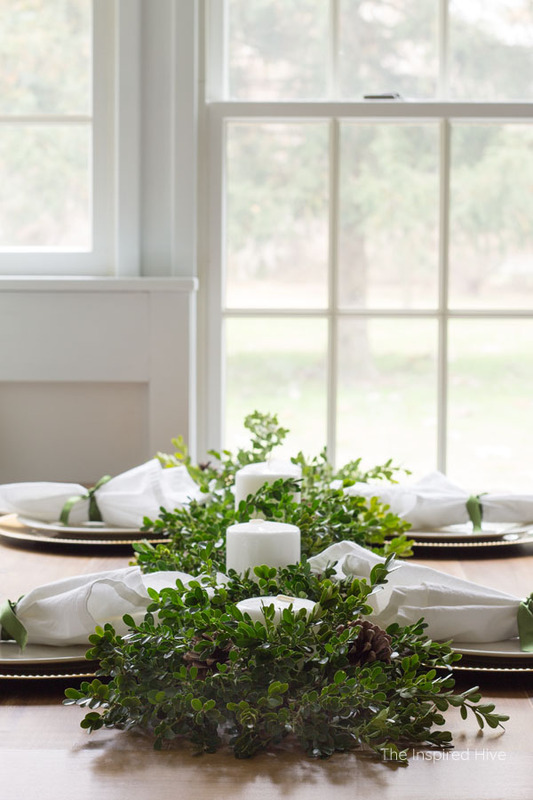 I love all the boxwood and the place settings are perfect for the holidays! Pinning! Thank you! I really couldn't believe they had those beautiful chargers! I stocked up! It is just beautiful in it's simplicity. And how easy to just take cuttings from the yard! Love it all Nicole!